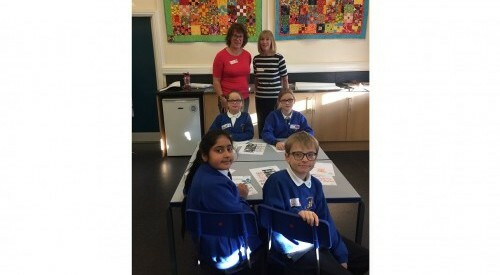 Sandra from Dementia Friendly Keighley and Helen from Catholic Care’s Embrace project continue to visit Keighley’s schools talking about older people and making memories with them. Last week they did a joint dementia friends session with 16 children from St Joseph’s Primary School which included Mini Vinnie’s and School Council. It was a fun and interactive class where everyone looked at their understanding of older people and how they can help them and enjoy their time together with them. The children loved the idea of making a photo memory book for their own grandparents!